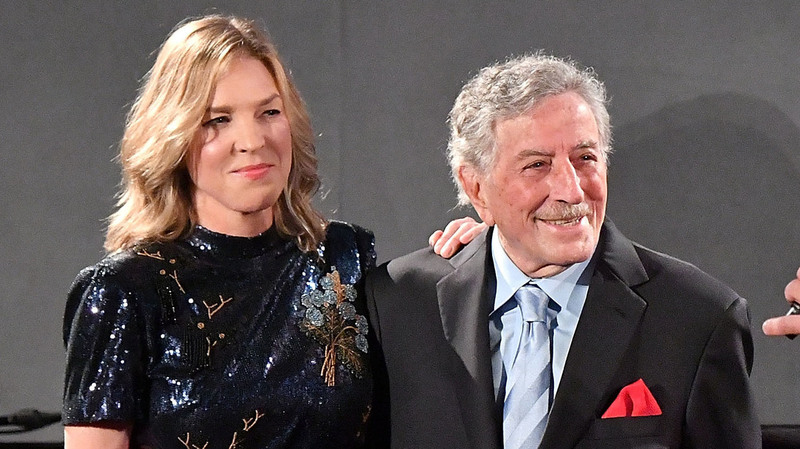 Tony Bennett And Diana Krall On Reincarnating Gershwin Classics: 'It Never Goes Out Of Style' Tony Bennett and Diana Krall share their love of George and Ira Gershwin with a new album, Love Is Here to Stay. Tony Bennett and Diana Krall share their love of George and Ira Gershwin with the new album, Love Is Here to Stay. Every piece of music produced is a roll of dice for success, but sometimes, the stars just align. The music of George and Ira Gershwin, two of the greatest American songwriters of all time, have been given new life once again by two of the greatest jazz artists of all time, Diana Krall and Tony Bennett. The pair's new album Love Is Here to Stay, out now, supplies an even dozen duets accompanied by the Bill Charlap trio. NPR's Scott Simon spoke with Bennett and Krall about reincarnating these Gershwin classics like "Fascinating Rhythm" (Bennett's debut recording) and the thrill of performing them live even after so many years onstage. Scott Simon: What makes the music of George and Ira Gershwin so distinctive? You've been been singing Gershwin all your life. Tony Bennett: Well it never goes out of style, because it's so classical. Diana Krall: That's right. And there are timeless stories about love and saying goodbye. All of those things are sort of in our Love Is Here to Stay. Tony, how do you improvise with someone like Diana Krall? Bennett: Oh it's easy. She's so talented that you just go with where she's at, and it all works out. Is it that instinctive when the two of you work together, or do you say you take this line, I'll take that line? Bennett: No, it's very spontaneous. Krall: Very spontaneous. We recorded this live in the studio, so together. We didn't go in and do a bunch of fixes. We just sang together. That's why I'm laughing. You can hear me going, "I got rhythm," and then I'm looking at Tony as a laughing because of all the joy. Tony, what do you feel when you sing? Bennett: I love it. I love to communicate. Krall: Tony and I work very intuitively. You said, "I like to communicate," and that in itself is a big statement. The way you communicate, the depth of feeling is always present, and the swing, the feel of swing. [snaps fingers] You can't really explain that, can you? Krall: It's natural. That's right. Right at the solar plexus, the heart. I mean people are hearing these great songs because of you. Bennett: Well, that's nice to know.